With a background in photography and publishing, founder Helen Edwards has long been a fan of poster art as an accessible and democratic art form. 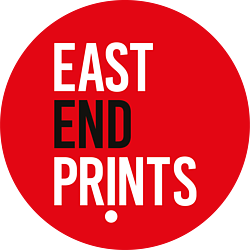 Based in London's creative hub of East London, East End Prints houses a carefully curated collection of graphic art. From film inspired posters, abstract art, London, kids to vintage type. Working since 2010 with new and emerging artists locally and across the UK and producing high quality, affordable graphic art prints and limited editions. 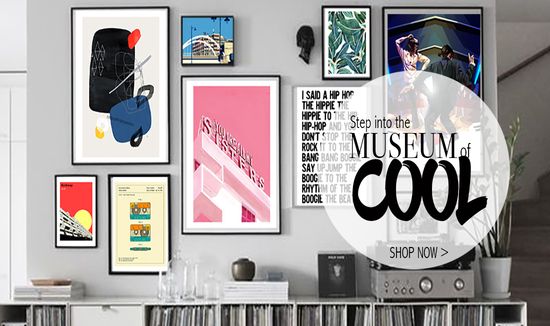 Whether you’re looking for art to brighten up your home or office or searching for unique gift ideas, we’ve got 2000 prints by 70 artists. Printed and framed to order in the UK, delivered between 4-7 working days. Buy Prints online or visit our East London shop, beautiful framed art prints and limited editions with a variety of sizing options available. Most of our orders are shipped using the UK postal service and professional courier companies. We operate full online order tracking with all product deliveries. East End Prints delivers products to a wide variety of countries. However, due to the courier relationships we have in place, we cannot guarantee that all our products can be delivered to all countries. You will be informed if we cannot fulfil your order after you specify your delivery address in the checkout process. We offer a 28 days returns policy on framed and unframed prints. Your prints will arrive by courier or standard post. We ship worldwide, but cannot deliver to PO Boxes.